Never did I ever think I would do a triathlon, let alone do the infamous Wildflower Triathlon! I did not start triathlons until just a couple of years ago. I barely knew what a triathlon was until then! Within my first couple of months of being a member of the LA Tri Club, I became Newbie of the Year of then Newbie & New Member Manager so I could help other newbies who were as confused as I was when I started to get unconfused! Who knew a short while later I would become the Managing Director of LA Tri Club? The Tri community is just that, a true community, especially the people in the LA Tri Club. The people I met in the LA Tri Club, at races, workouts etc., are some of the nicest people around. LA Tri Club prides itself in being a “family” and it truly is. The camaraderie amongst the members of the club is like no other. In 2018, I finally got to do the infamous Wildflower Triathlon. I had heard it was the “Woodstock” of triathlons, fun, beautiful and hard! I had been hearing about how great this race was since I started in the sport. I got to know more about the race when I was part of the Tri Club Championship Advisory Board. I got to know Terry (Founder) and Colleen (Race Director) which makes it that much more special. Since I don’t really run much anymore, I was part of a relay team called “Team 180 and Still Going Strong”. We decided to combine our 3 ages and that was our team name!. I was doing the bike leg of the race and the minute I heard about the famous “Nasty Grade” I was determined to conquer it! LA Tri Club’s Head Coach, Ian Murray is also my coach. He created my training program for Wildflower. 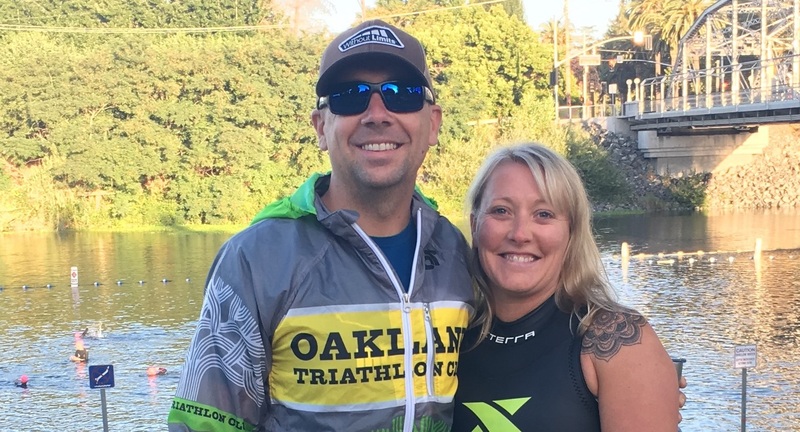 I trained on my own for some of it and with the LA Tri Club on our Saturday rides, Thursday swim workouts with Coach Stu and different member led workouts. Always a smile and lots of laughs with other members in between the hard climbs and ocean swims. The best part is always the post-workout brunch fun with other members. LA Tri Club brought up over 125 athletes along with their friends and families for a great weekend of camping, barbequing and of course racing. We had our youngest member at only 4 months old to our “oldest” member at the young age of 86 who raced on Sunday. 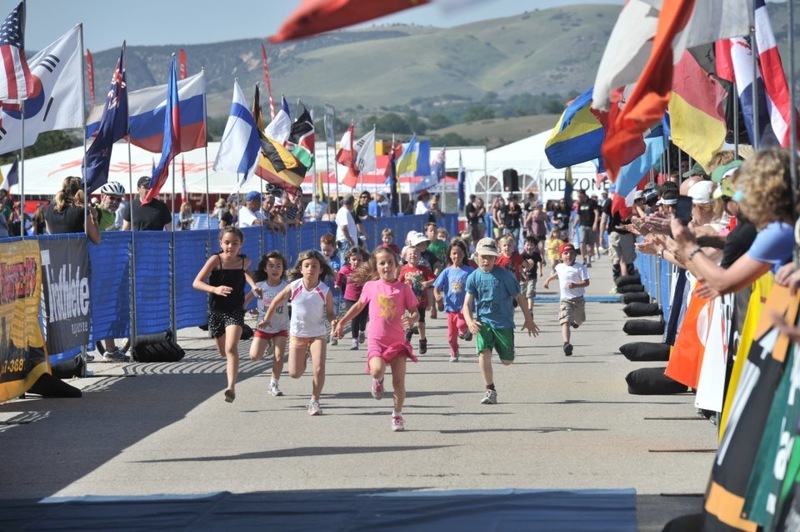 LA Tri Club always brings up a big group to Wildflower, it’s one of our favorite races. We bring up the club BBQ so that everyone can eat together. We made fresh coffee each morning. Because my trailer was LA Tri Club’s “Command Center”, there was always something going on. We decided to have our own 15 person shuttle bus which I drove up with all the food and supplies along with another member and all of the other LATC “stuff”. Having an LA Tri Club shuttle was a great perk for our members and just one of the many things we do for the members. Race day came and it was so exciting! My teammate Rosalind did her first ever 1.2-mile swim and we were so proud of her! I didn’t do that well as I had been sick leading up to race day and it showed. I was disappointed but determined to do it again next year. I had so much fun for my first Wildflower weekend. From the music to the massage, meeting people from other clubs, our great campgrounds and having so many teammates up there cheering each other on, volunteering and just having fun. Of course, we can’t forget the race itself! All in all, I had a great first-time Wildflower Experience and will definitely be doing it again for years to come!